The best carriers. The best service. For the best LTL rates. LTL Freight Center specializes in domestic surface freight and supply chain solutions for every shipping need. Whether you need a single shipment or a full service logistics partner, we can help. Call today for a quote or to schedule your FREE logistics audit. What makes LTL Freight Center Houston’s Logistics Leader? We believe getting a freight quote should be simple. We believe carriers should bid on your business. And we believe you deserve the best customer service. To serve you best, we’ve structured our business around the following four core principles. Our more than 80 carriers bid on your business. With so many carriers, we always have the service to fit your need. Plus, we don’t require contracts. Get a quote every time you have a shipment. Or let us negotiate an ongoing rate for you. Either way, you’re always in control. At LTL Freight Center, we are committed to you. Customer service is the core of our business. As part of our commitment, we guarantee you’ll get a live voice on the other end of the phone every time you call. No auto-attendants with prompts. Talk to a live human being whose happy to help. 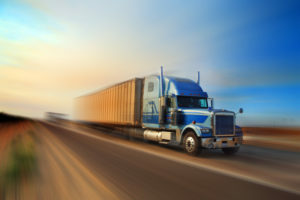 Logistics Solutions for Houston – and all around the US! We offer a full suite of professional business services. These include a FREE full logistics audit. With this information, we can create rate and service programs designed to reduce and control your annual logistics spend. Some of our services include claims management, quarterly reporting, and spend analytics. For more information on our services, please call and speak with one of our logistics professionals. Our customers benefit from our proprietary logistics management software. This gives you access to powerful, fast freight quotes. Plus it delivers real-time freight tracking and complete audits of all shipments, even when multiple carriers are used. Contact us or Get a Quote to get started.